Welcome to September, where Christina slightly loses her mind for about a month or two, until all the opening school events die down and November rolls around. The first big event at Garrison this year is the Installation of the new Head of School and the Leadership Dinner. This year, I created the menu for the Leadership Dinner -- and anyone that knows me, knows that's my favorite, favorite thing to do -- create menus! There are a few passed appetizers that we had last year, so I know how we'll create them, but the salad course and dinner course are different, and I wanted to make sure I knew exactly what I wanted them to look and taste like when the time came. 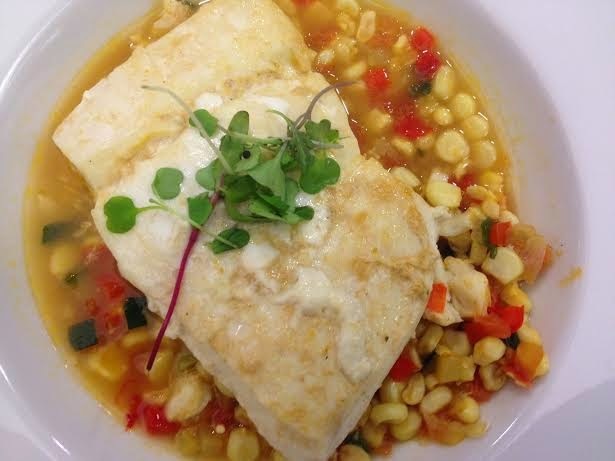 The main course for Leadership Dinner is a Lemon-Thyme Poached Halibut with a Crab and Corn Succotash. Lucky for all of you, I tested the recipe this weekend, and I was super pleased! The use of fresh corn off the cob elevates the dish, and paired with lump crab meat and hints of lemon - they all come together as the perfect combination. Enjoy! 1. Start by prepping the succotash. First, peel back the husk on corn, but leave intact. Season corn with olive oil, salt, pepper, and a touch of chili powder. Pull husks back over corn and place directly on oven rack in a 350-degree oven for 30 minutes. Meanwhile, mix zucchini, squash, pepper, and scallion in a large bowl and season with salt and pepper. When corn is finished, remove from oven and let cool. Peel husks back, and over a bowl, scrape ears with a sharp knife to remove corn kernels. Mix corn kernels with zucchini mixture and set aside. 2. In a mixing bowl, whisk parsley, thyme, vegetable stock, white wine, whole lemon slices, garlic, salt, and pepper. Transfer to a skillet and bring to a simmer. Remove lemon slices after about 7 minutes. Add butter. Place fish fillets in skillet and poach (allow to sit in the broth, but spoon broth over the top of the fish occasionally) until fish is slightly opaque. Transfer to a pyrex dish and oven-bake until completely opaque and flaky. 3. While the fish is finishing in the oven, drop zucchini mix in the skillet. Simply saute until you incorporate flavors - you want the vegetables to stay bright with color! 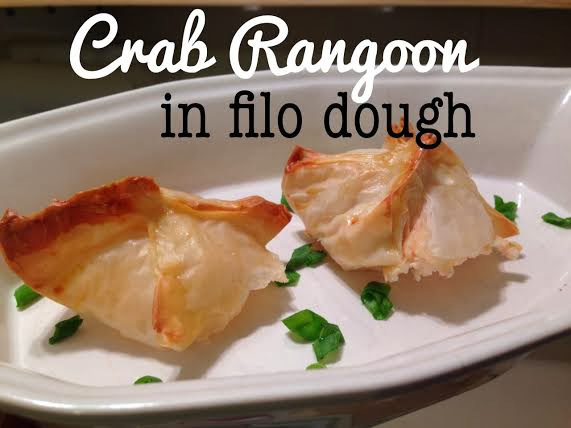 Remove from heat and gently fold in crab meat, as not to break up the lumps. Spoon succotash into the middle of a plate or shallow bowl. Lay fish fillet on top, and garnish with micro greens for height and color. Enjoy!